Hi friends! Sometimes, I like to look back through my blog and check out some of my posts that I felt were the most informative, and by the age of the post and the traffic it still gets, apparently people think its pretty informative as well! Over the next few weeks here and there, I plan to revisit some of my popular older posts and tutorials that are still relevant in my home. Well, this happens to be one of the those posts, circa October 2012. 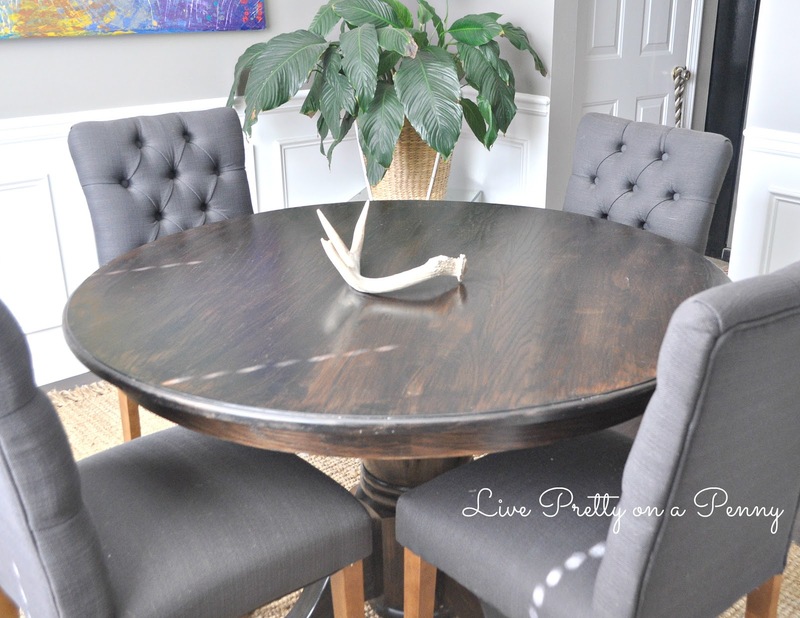 To this day, I still love to update dated wood furniture, and looking back through this tutorial…I still follow every single one of these steps. 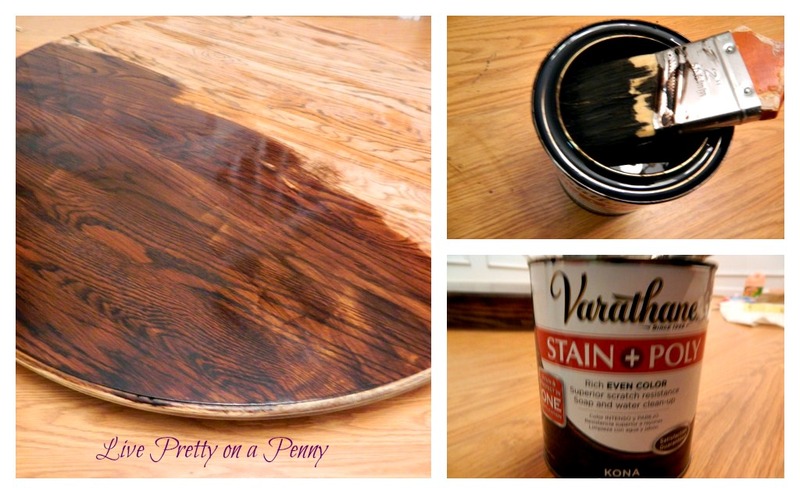 So I figured today we could throw it back, in hopes that this tutorial on staining an oak table will help somebody today! And if you think this tutorial probably looks easier than it really is–its not. It really is this simple AND this impactful. Plus you will see at the bottom I have an updated picture of how the table has held up to this very day. my first time using stain. If I did this, then you can too! inch brush is fine), Drop Cloth, and Dusk Mask. the base. 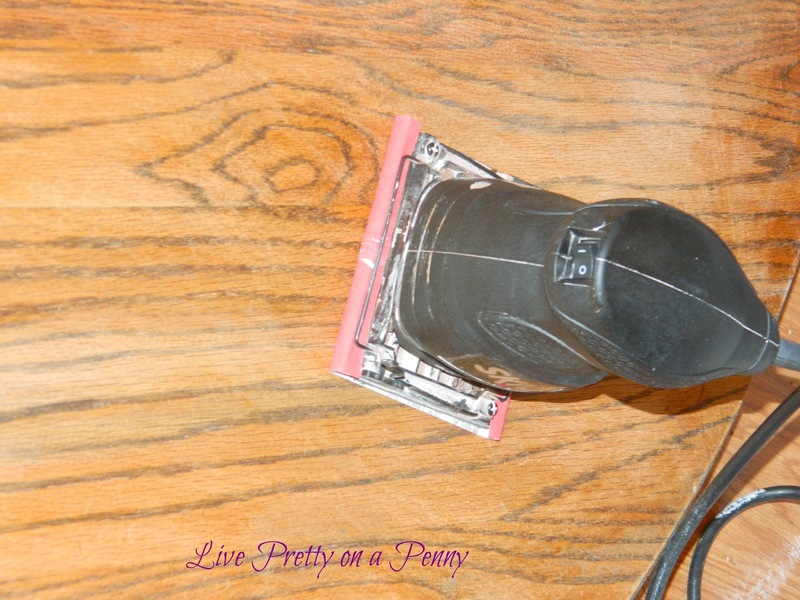 I scraped…and scraped…oh…and scraped. the residue was off, and I kept wiping until the paper towel was clean. 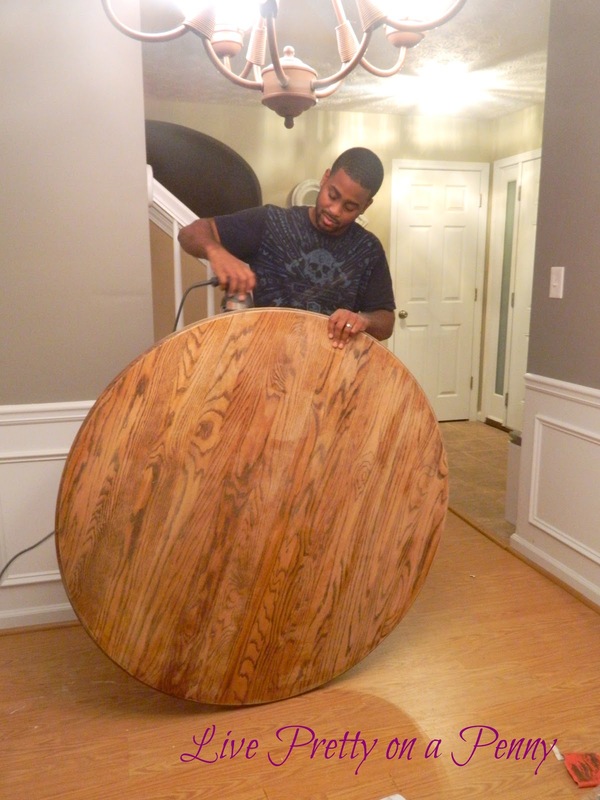 to sand all of the edges and grooves of the table. 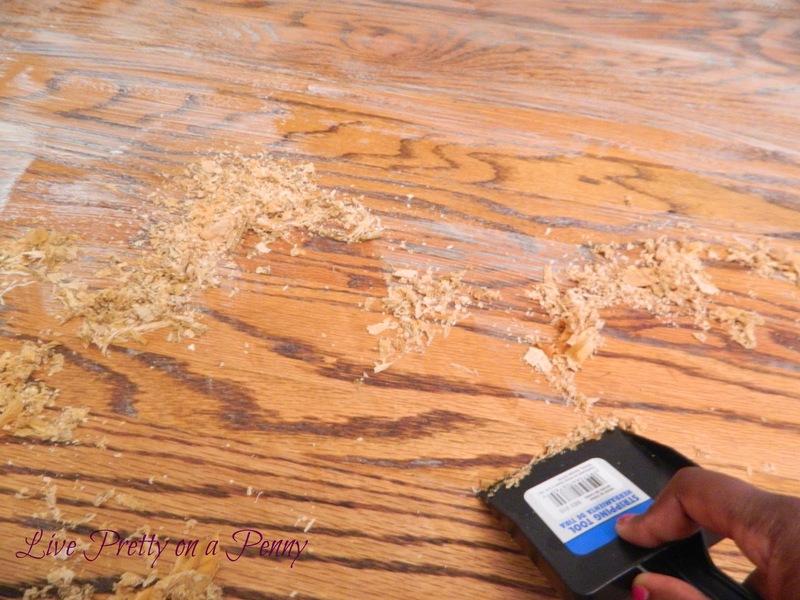 remove the sanding dust and any other particles from the floor. 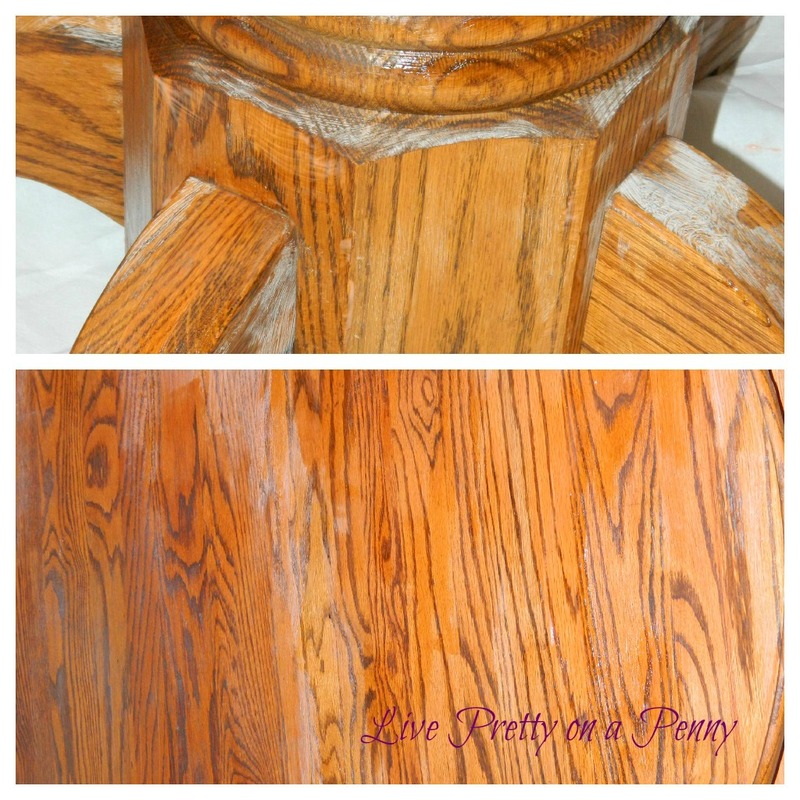 strokes from top to bottom, still in the direction of the wood stain. 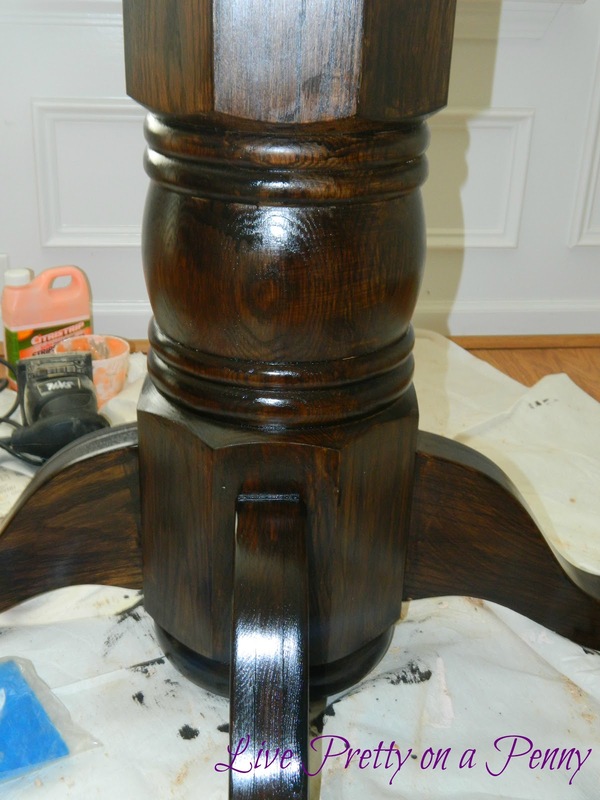 second coat of stain to stick. Again, this should be done very lightly. 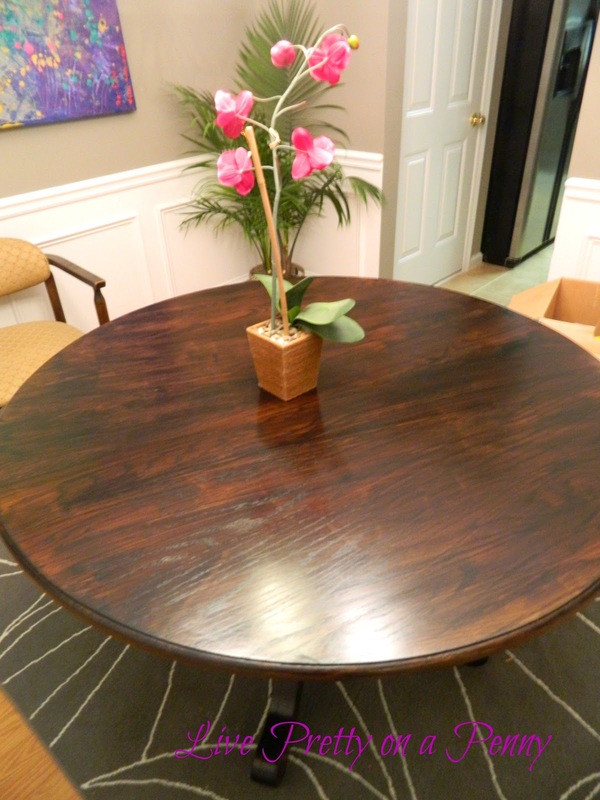 beautiful, shiny “new” dining room table! 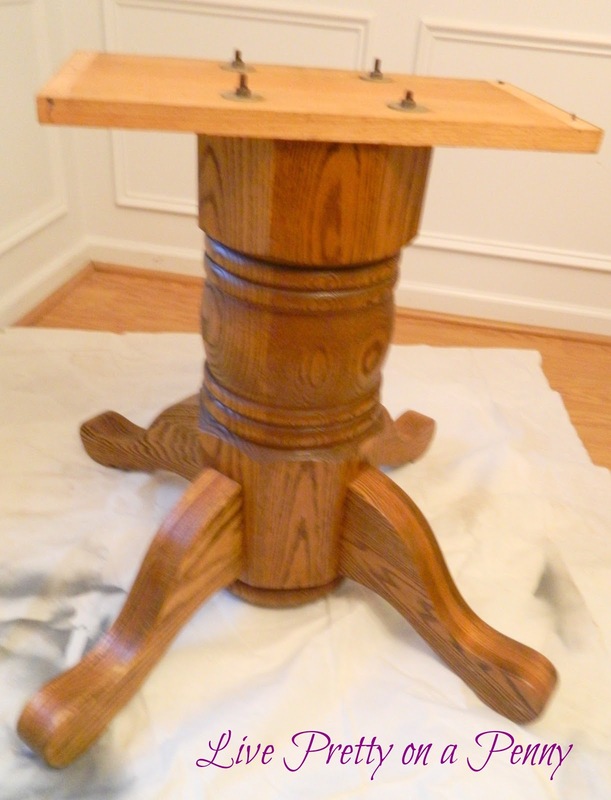 I am very happy with the finished product and I would highly recommend this stain. See! Super simple. Here is the table in all of its chocolate beauty today! I highly recommend this stain. This table literally does not have any scratches on it, thanks to the poly that is included in this stain. 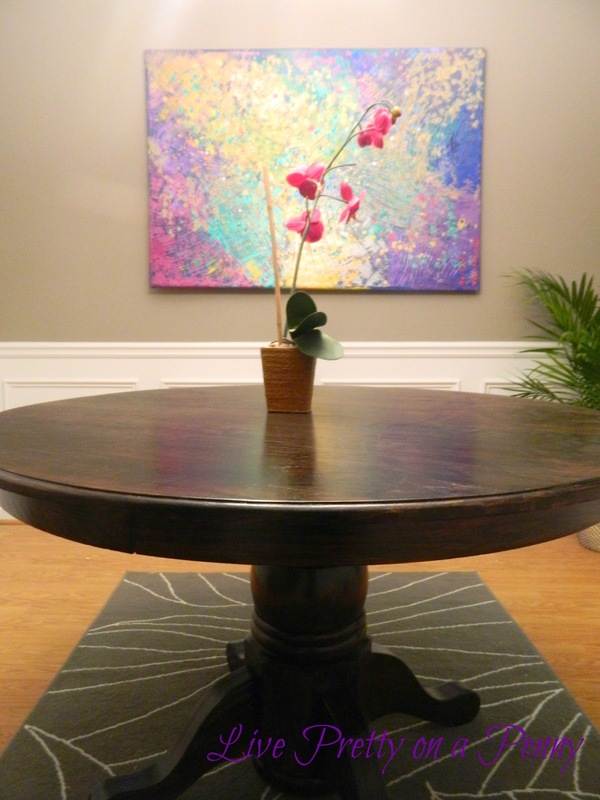 I get compliments on this table anytime someone visits and they can’t believe how it looked before. 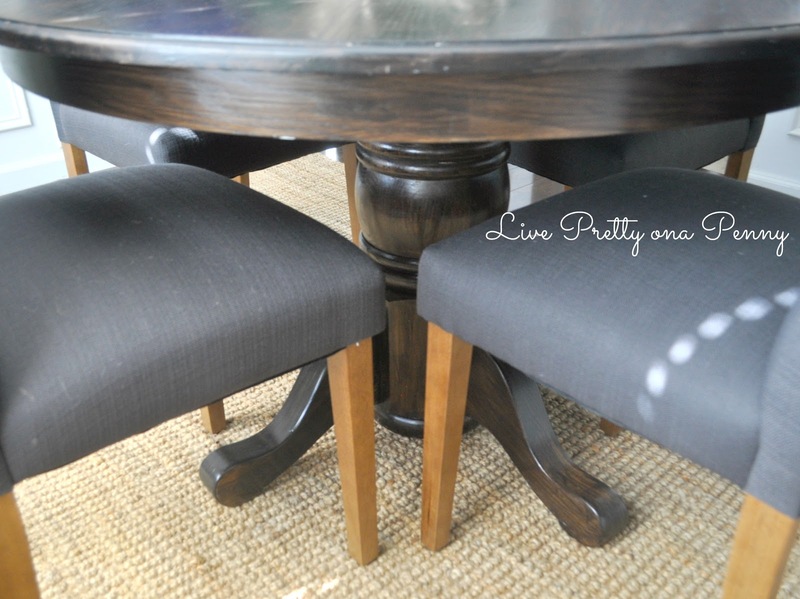 The chairs are the Threshold Tufted Brookline dining chairs from Target. I have had them around 2 years. I always thought that the legs being a different color would bother me, but it doesn’t. 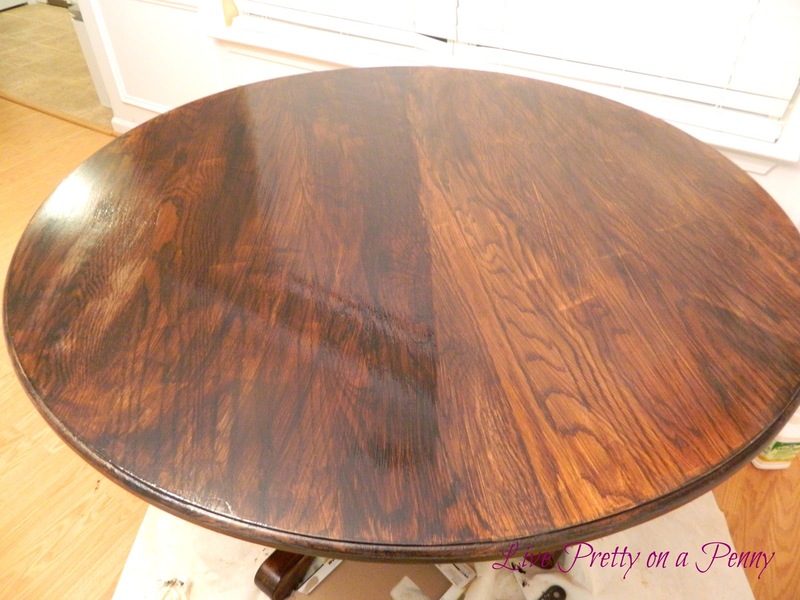 If you are going back and forth trying to decide if you should stain a piece of furniture that you really want to change, then I say go for it. 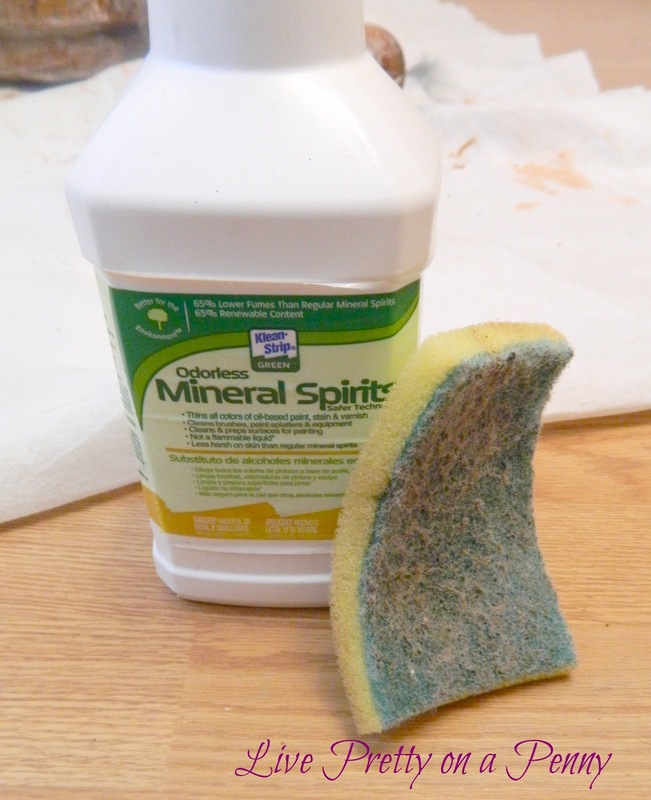 It’s pretty easy, and you will love the result. Just take your time, and enjoy the process. 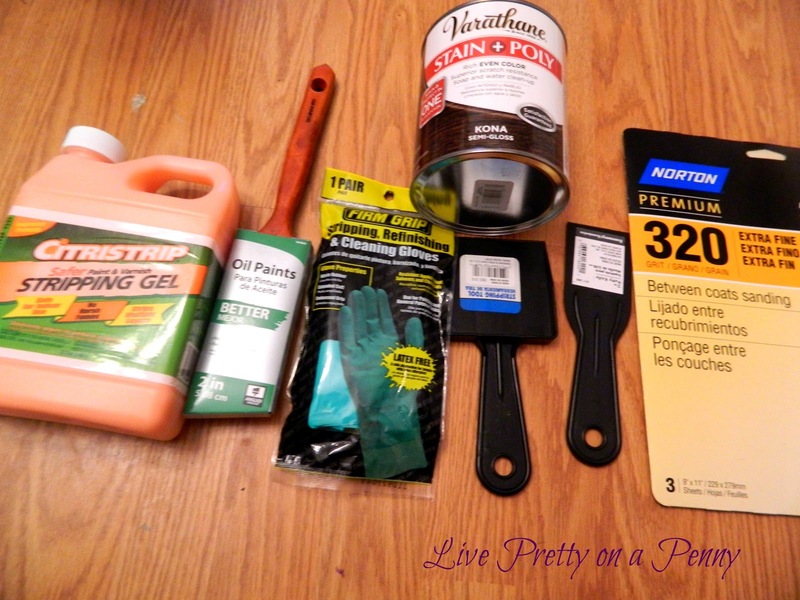 Lastly, I wanted to thank everyone who popped over to my blog from Thrifty Decor Chick. Sarah was gracious enough write an incredible feature about me and my blog last week, and I am so grateful. Thank you for your kindness Sarah, and thanks to all of my newest subscribers! 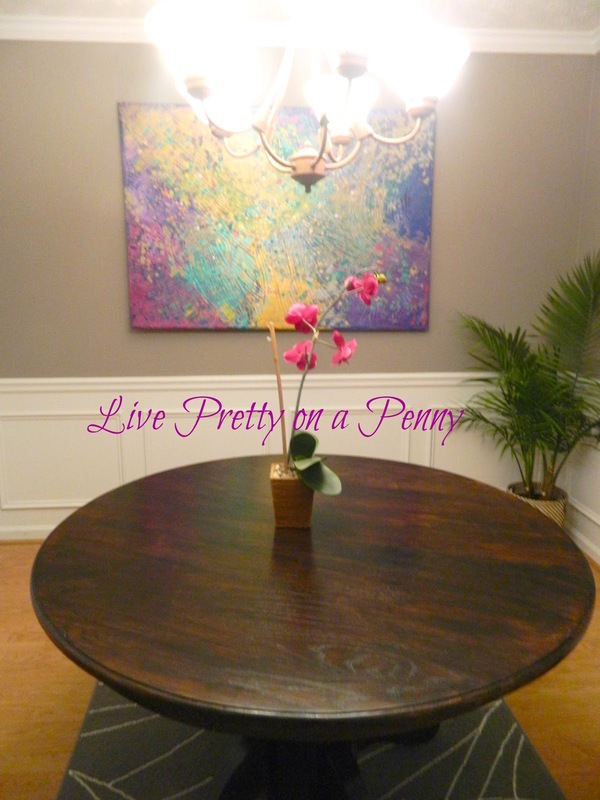 !If you are not familiar with Thrifty Decor Chick, then you have to take some time to check it out. 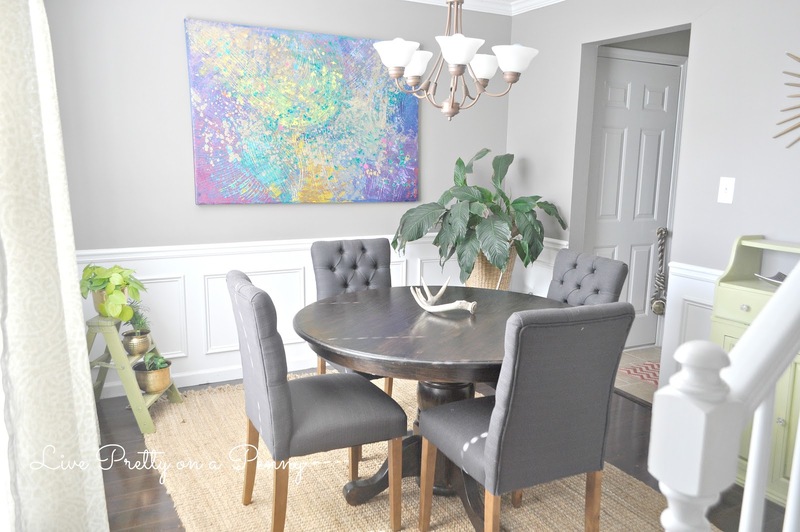 Sarah’s home is stunning and she is so humble and kind, which shows through in her blogging. As always, thanks for stopping by. If you are new reader, welcome and thank you for checking out my blog. Don’t forget to subscribe so that you never miss a post! I love this post! 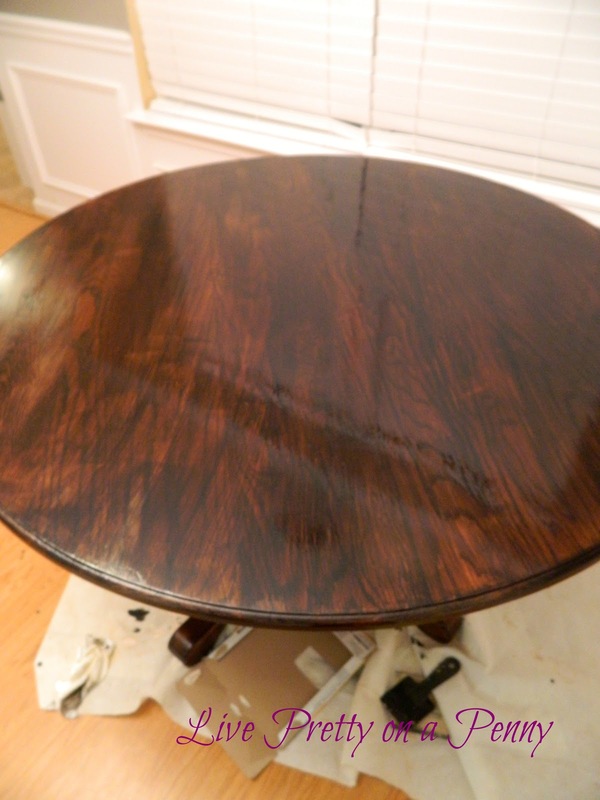 I used your tutorial on staining my mother's dining room table! Thank you so much Alaya! Thank you Michelle!! Come on, as long as you cook you are welcome to move in. 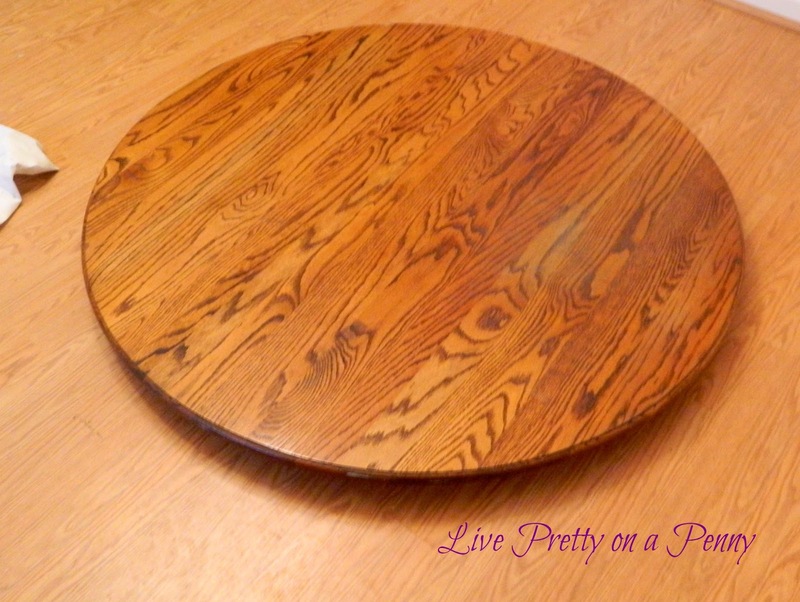 Your table looks so good. Love the shade of stain you choose. It reads so much prettier in your recent pictures! Thank you so much, Tijana! What an amazing transformation Erin and such a huge difference! Superb job! Love the chairs! 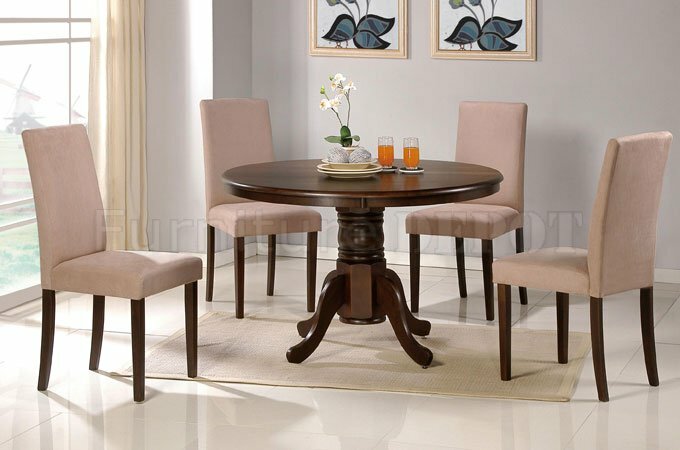 Have you thought about painting the legs to match the table? 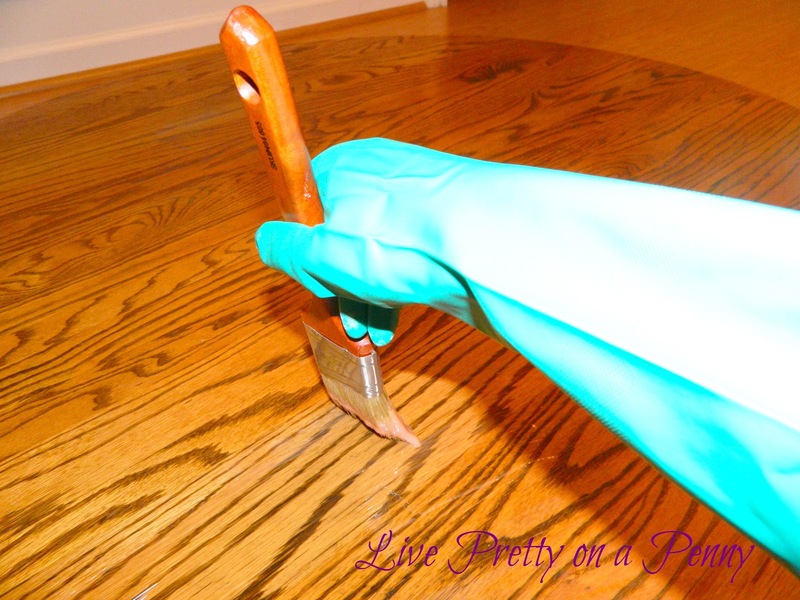 Or staining them?